Welcome to AutoStar USA Family Dealerships! 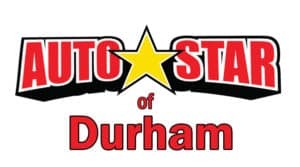 Located at 2100 Holloway St. near Raleigh, Durham and Chapel Hill, NC, AutoStar of Durham has the best selection of used cars, trucks, vans and SUVs in Durham County. We have a thorough array of brands such as Ford, Chevrolet, Nissan, Toyota, Dodge and Jeep. But these aren’t the only options are your disposal. Any car in our fine selection are just waiting to go home with you. Selling cars isn’t the only business we dabble in. On a daily basis, we’re seeking used cars to add to our distinctive collection. Even if your car doesn’t fall under the brands detailed above, stop by! If you are looking for a quality used car, look no further than AutoStar of Durham in North Carolina! We are always seeking quality used cars at all of our locations. Sell us your vehicle today!